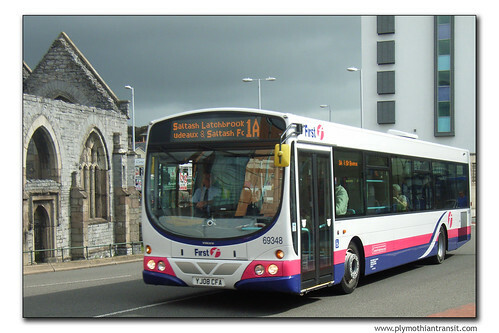 The Park and Ride service in Plymouth these days is better than ever before thanks to a lot of work and investment by Plymouth City Council and First. The George is a great facility and the Enviro double deckers are wonderful machines and very comfortable to ride on. 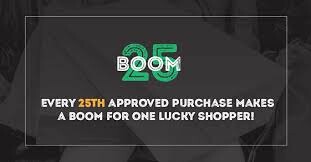 A credit to all involved. However, it always seemed odd to me, a mere humble observer, that PR2 Coypool seemed to have the bum deal. This seems even more odd to the casual observer when its clear that loadings on PR2 often seem to outperform PR1. This may be an illusion as 50 people crammed into a Dart will always look a lot more than 50 in a double deck Enviro but PR2 often seems to be running with standing loads. 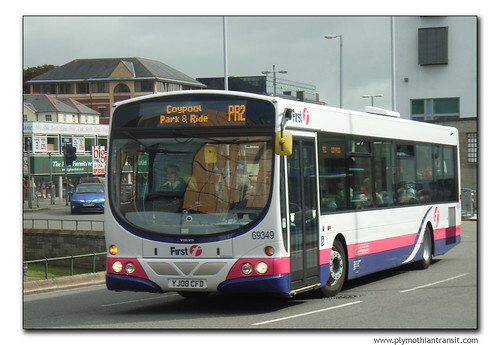 Its a shame that the Darts never received the Park and Ride livery either which I have never understood. This last week has seen a big step in the right direction with FDC now using their 'new' Eclipse single deckers on PR2. These both look the part and are bigger so should carry more passengers. The smart modern design does still turn heads even if they are still in Barbie livery. Of course these buses are still only 'on loan' but more will arrive to replace them later so hopefully they will be kept on PR2 duties. This week I had a rare trip into town and managed to catch a few on camera with just the one Eclipse out on the 1A service. This was probably due to the fact that one of the Enviros was also on PR2 duties. Now if they could just get a few Eclipse into the same PR livery as the Enviros it would make a big difference. As I mentioned a few days ago I am still having major issues with my PC at the moment so postings have been a bit erratic to say the least. It does seem to be working OK today so maybe some of the fixes I have tried have made a bit of a difference. The good news is that I am now able to start to look for a new computer so all being well things should be back to normal within the next couple of weeks or so - Just need to get a new car first - then I can spend the change on the PC! 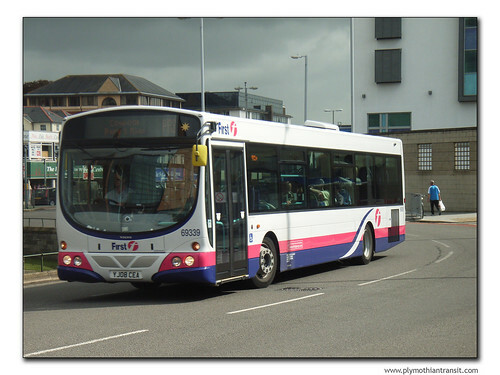 I usually get the PR1 into town, but decided to catch the PR2 specifically to ride on these buses. They are rather impressive, but less so when you think that other First group companies were operating these buses over eight years ago! The one I was on rattled like mad too, giving those Volvo's FDC managed to get rid of a few years ago a run for their money! I am hoping to have a go on them myself tomorrow - weather permitting!